Wondering whether to go and see The Bear at Waterside Arts Centre – it’s on until 6th of January and tickets are available now. You can even pre-order a Slumber Pack for £2 containing a carton of milk & a cookie! When it comes to festive icons – Raymond Briggs has the market nailed – with The Snowman and Father Christmas being firm seasonal favourites. One I’m less familiar with though is the story of The Bear. 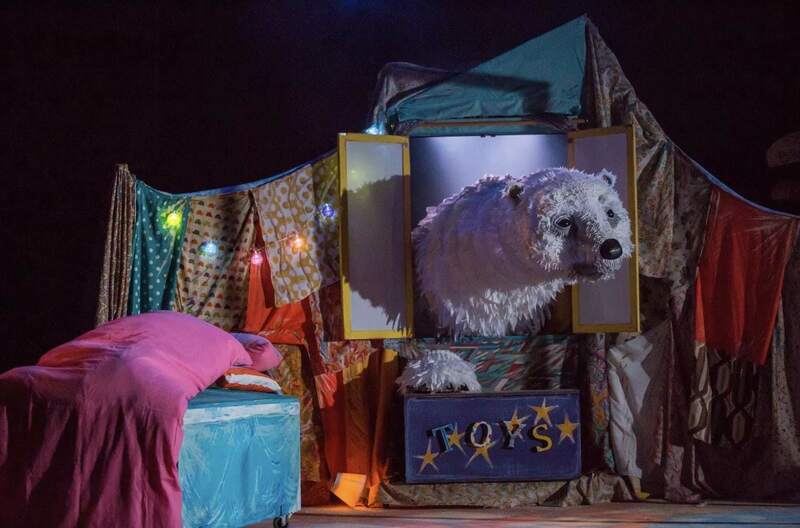 This winter, The Bear, based on the book by Raymond Briggs and adapted for stage by Pins & Needles hits Waterside and Colette from Going on an Adventure went along to watch it on Thursday night. You can read Colette’s review of The Bear at Waterside Arts Centre here!